Good surface preparation counts for everything when looking to get the best from your NovaBond High Strength Bonding Tapes. Oil, grease and dirt inhibit the bonding qualities of adhesives, therefore the cleaner your surface, the better the bond strength. If it is possible to abrade with no detriment to product aesthetics then this can further increase the surface area and subsequent bond strength by up to 30%. Priming can further enhance the bond strength, durability and corrosion resistance properties when subject to adverse atmospheric conditions. We always recommend abrading wherever possible to ‘key’ both surfaces – tooling up for this will preserve the aesthetics of the sign where it is an important consideration. 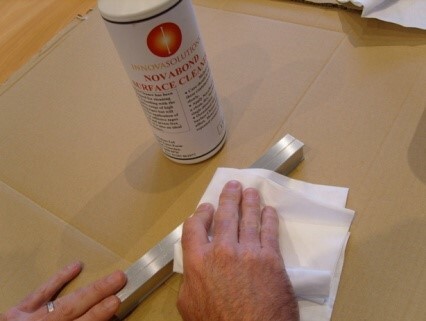 Using a non-residual cleaning solvent such as Novabond Surface Cleaner further assists the adhesion of the tape to the substrate surface. Traditional spirit-based cleaners are slow to evaporate and can leave a residue. Novabond Surface Cleaner eliminates this leaving a surface that’s ready to stick. Ensure that the solvents use is in accordance with manufacturers recommended guidelines which are available from Innova Solutions. 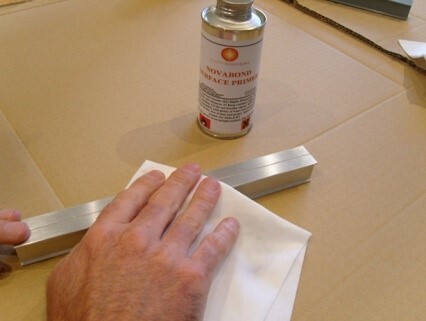 For increased bond strength and enhanced corrosion resistance, using NovaBond Surface Primer polarises and increases the surface energy of the substrate at the bonding interface. 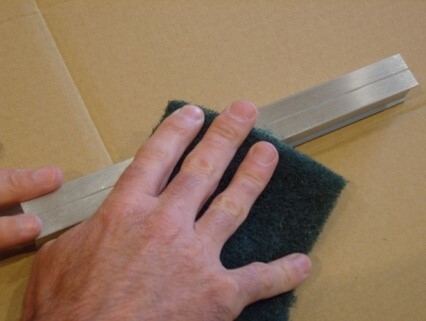 The surfaces then more readily accept adhesives yielding a stronger bond. This is particularly useful when bonding metal signage likely to be subjected to severe external environments such as road traffic signs or that signage subject to manufacturing processes such as high temperature powder coating, stove enamelling, epoxy coated metals and low surface energy plastics. Check out our series of Best Practice Videos on our dedicated YouTube Channnel that will guide you through the above steps.